NEW YORK -- Cal Ramsey, who starred at NYU in the 1950s and went on to play and broadcast for the New York Knicks, died Monday. He was 81. 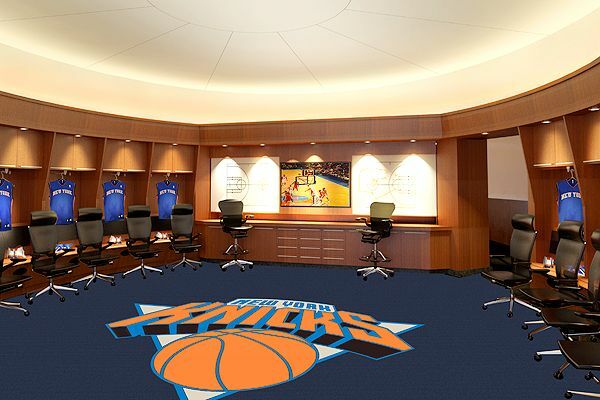 The Knicks said Ramsey died of cardiac arrest at The Riverside Premier Rehabilitation and Healing Center in Manhattan. After his playing career, Ramsey worked for the organization as a color analyst and later in community relations. He served as a Knicks ambassador for the last 28 years and had remained on NYU's basketball staff since 1983. Madison Square Garden chairman James Dolan called Ramsey "one of the greatest ambassadors in New York City basketball history." Born in Selma, Alabama, Ramsey graduated from NYU in 1959 after averaging 20.2 points and a school-record 17.5 rebounds. His 34 rebounds against Boston College remain an NYU record. He had been an assistant coach with the team since it returned as a Division III program in 1983-84, helping the Violets to a 615-341 record and 25 postseason appearances. Ramsey also played in the NBA for the St. Louis Hawks and Syracuse Nationals. He is a member of the NYU Athletics and New York City Basketball Hall of Fame. "From Rucker Park to the Garden, Cal Ramsey was a New York City basketball icon. He was a kind and caring friend who gave so much to the game he loved," NBA Commissioner Adam Silver wrote on Twitter, offering the league's condolences to Ramsey's family, friends and fans. The Knicks said they will honor Ramsey during their next game, Thursday against Toronto.